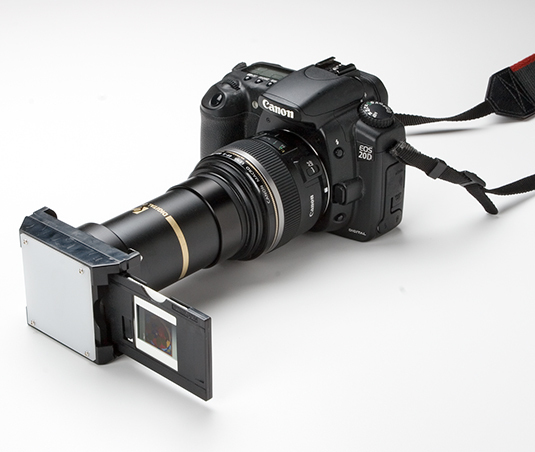 Acquire a slide attachment for your digital camera. If you don’t have a slide attachment for your digital camera, check out a camera supply store to find many accessories for your camera, from inexpensive attachments to more expensive bellows units. Convert a negative to a positive. Ideally, you would shoot your slides and negatives in a Camera Raw format and edit the photo in the Camera Raw converter. Unfortunately, Photoshop Elements doesn’t provide you with an opportunity to convert the negative to a positive image in the Raw Converter. You must first open the negative in the Raw Converter and click the Open Image button without editing it to open the raw file in Elements. 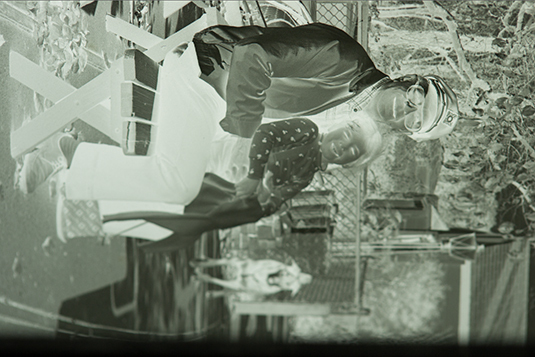 When the file opens, press Ctrl/Command + I to invert the photo to a positive. Save the file to disk. To edit the file in the Camera Raw converter, choose File→Open in Camera Raw. 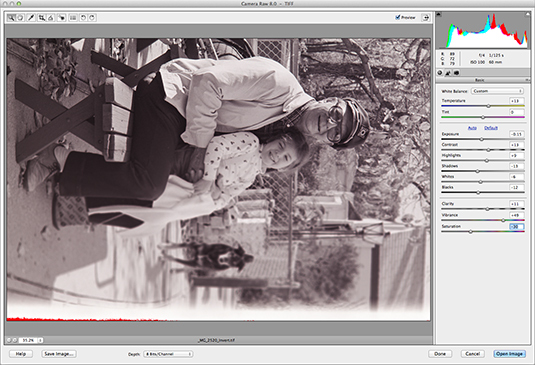 The positive is now open in the Raw Converter, where you can make some adjustments before opening the photo in the Photo Editor.